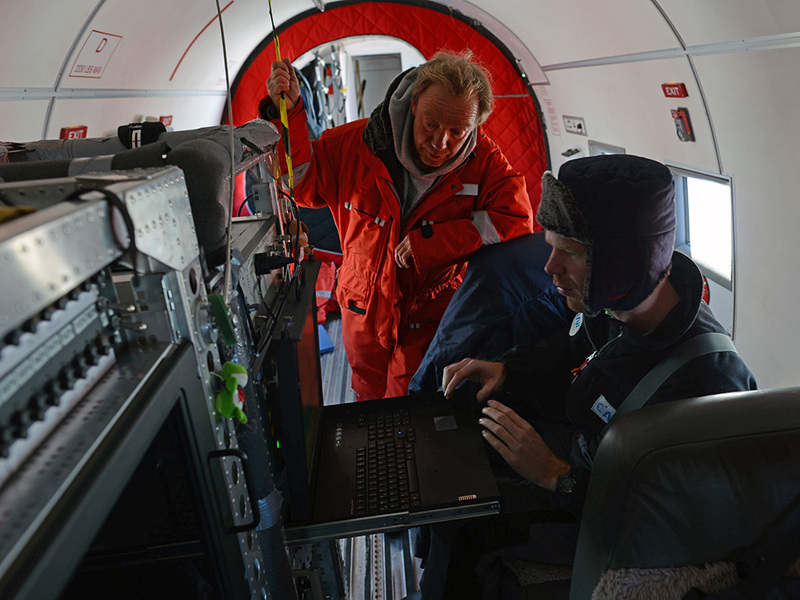 The Alfred Wegener Institute (AWI) together with the Federal Institute for Geosciences and Natural Resources (BGR) is currently conducting its fourth season of aerial research flights based at the Princess Elisabeth Antarctica research station in East Antarctica. The research that the team is conducting seeks to gain a better understanding of how the ancient supercontinent of Gondwana was formed and then broke up hundreds of millions of years ago. However this season, during one of their scientific flights, geophysicist Christian Müller spotted a new feature in the King Baudoin Ice Shelf at the Princess Ragnhild Coast: what appears to be a 2 km wide scar in the ice. While they hypothesize that it may have been left by a meteorite in 2004, further investigation is needed to determine exactly what caused the feature, according to AWI geophysicist and WEGAS survey leader Graeme Eagles, who agreed to sit for an interview. What are the research objectives of you and your colleagues from the Alfred Wegener Institute conducting this season? I understand you've got an ice radar, a gravimeter, and GPS antennae. We're conducting a survey. We're trying to map this part of Antarctica in detail to see what kind of rock is here. But because Antarctica is covered in ice, it makes it difficult to do traditional hammer-swinging geology to study rock formations. So we need to resort to other techniques: remote sensing techniques, which include using an ice radar, a gravimeter, and a magnetometer to help us interpret what kinds of rock lie beneath the ice. We're using an aircraft called Polar 6 to fly our missions. It's a Basler BT-67, which in essence is a Second World War Douglas DC-3 with a few modifications so it can support the instruments we're using. It's ideal for covering large areas in a short period of time, and rugged enough to land on bumpy ice runways. What purpose does each instrument serve? Firstly, we use the gravimeter to measure the tiny variations in the acceleration due to gravity that the varying density of the bedrock causes. Different kinds of rock have different densities, so this helps us interpret the regional geology. Secondly, we use a magnetometer to measure Earth's magnetic field strength. Small disturbances in this field are caused by the varying magnetic properties of different rock types. Thirdly, we use the ice radar to measure the thickness of the ice and therefore how deep the surface of the continental bedrock is. By combining these three sources of information to determine the topography of Antarctica's bedrock with information from nunataks and scattered mountain peaks (where the rock peeks out of the ice), we can interpret the geological history of this part of Antarctica. The three techniques complement one another quite nicely in terms of our scientific goals; they also don't interfere with one another, so they can be done simultaneously. What exactly about the geological history in this part of Antarctica are you interested in knowing? The research we’re doing is part of the WEGAS and GEA projects, which stand for West and East Gondwana Amalgamation and Separation and Geodynamic Evolution of East Antarctica, respectively. We're trying to learn how the Gondwana Supercontinent - which Antarctica was a part of - was formed starting some 550 million years ago and how it later broke up from about 180 million years ago. In a nutshell, what we're doing is paleogeography. During one of your aerial surveys over the King Baudouin Ice Shelf, one of the scientific flight crew spotted an unusual feature in the ice. What did he see? 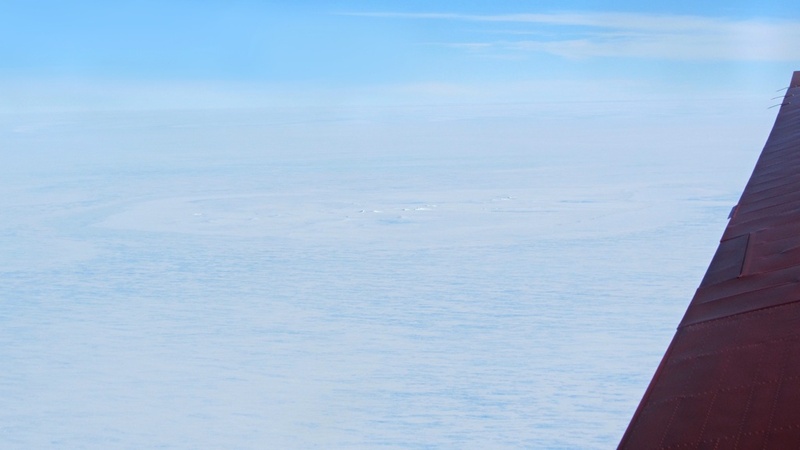 My team colleague, Dr Christian Müller, first spotted a massive circular scar on the ice shelf on December 20th during that day’s aerial survey. We’d had some problems with the radar equipment and had taken it out of the Polar 6 aircraft for repairs. So in order to not waste a good flying day, we chose to fly the part of our planned survey that crosses the King Baudouin Ice Shelf. The ocean lies directly beneath the ice shelf, where the radar data is unable to show us the topography of the bedrock below the ice like it does on the continent. So we wouldn’t have had that information anyway. It turned out to be a serendipitous decision. Looking out of the window, Christian noticed a large, circular structure in the ice off to one side of the aircraft. He estimated it was about 2 km across. After Christian returned to the station from the day's flight, he decided to do a bit of research into the scientific literature to see if there had been any mention of any phenomenon that could have made a hole like that in the ice. From the shape of the structure, he speculated that it might have something to do with a falling body such as a meteorite. He looked at infrasound measurements (measurements of sounds lower than the threshold of human hearing, or 20 Hz) that had been taken at the German Neumayer station over the past several years to see if there had been any recorded event that would be indicative of a large impact. Did he find any evidence to support his hypothesis? Sure enough, Christian found a scientific paper from 2007 in which American and Canadian colleagues had used infrasound measurements from around the world to triangulate the approximate position of an object that made a big bang in the atmosphere in 2004. The position was very close to where he'd noticed this very large circular structure in the ice. The study supports the idea of a meteorite impact on the King Baudoin Ice Shelf 10 years ago. Also, some of our Australian colleagues at Davis station – which is quite a long distance around the coast – observed a dust trail at a height of about 30 km in the atmosphere around the time of the proposed impact in 2004. Using this dust trail, they estimated that the object that left the dust - had it been a meteor - would have landed somewhere in the vicinity of the circular structure we found. So there are two lines on inquiry that support the hypothesis of an impact event. If the structure is indeed the result of an impact, we would expect it to have undergone about 10 years of alteration by processes such as snow accumulation, erosion by the wind, and deformation by the flow of the ice shelf itself. Do you plan to return to the potential impact site to investigate further? We thought it would be good to go back and investigate this site in more detail with some of the other equipment on board the aircraft, including the radar, which is now repaired. We did this on December 26th. We flew out northwards from the Princess Elisabeth station, and flew over the circular structure in a cross pattern: once at about 1,500 feet (450 metres), and once at about 7,000 feet (2 km) altitude. The idea was that at 7,000 feet we could take photographs and video of the entire structure in plan view, as well as create a topographical map of it using a laser altimeter (at 7,000 feet, the laser altimeter can cover a 2 km swath). At 1,500 feet we were able to do the same for parts of the structure, but much closer. In addition to taking images we took of the surface of the circular structure, we also used ice-penetrating radar to image it at two different resolutions. So we first used the regular ice radar that we use for the bedrock over the continent. This has given us a coarse-scale image of what the interior of the ice shelf beneath the circular structure looks like, but we won't know more until we have processed the data in detail. We also used a snow accumulation radar, which is specifically tuned to looking at the upper layers of snow and ice. There are some interesting signals in the raw data from this instrument. It looks as if at least the layering of ice and snow in the top part of the ice shelf has been disturbed. What will be done with the data you've collected? We've collected the laser altimeter data that will show us what the top structure of this surface looks like. Whether it's a crater with raised rims, or a central peak, or whether it's something else entirely, we don't know that yet. Our colleagues back at AWI in Bremerhaven will need to process these data in more detail than we've been able to do so far to know more. Those of us here don’t have the right expertise to thoroughly analyze them. So at this point, you can't definitively say that it was a meteorite that created this hole in the ice? No, we can't say that with any confidence at all at this point. We can say we've found something very unusual – so unusual that it warrants further investigation. However there are two very promising prior results – the infrasound data and the observed dust trail in 2004 – which support the hypothesis that this structure could have been created by a meteorite impact, and certainly support the decision to collect more data for further analysis and investigation. What kind of object creates a 2 km-wide circular structure in an ice shelf? It wouldn’t have been 2 km across I imagine. If the meteorite had been 2 km across, the effects would have been catastrophic and felt globally. The fact that the hole is 2 km across doesn't mean that the body that might have created the hole would have been that large. If you've ever seen the patterns that raindrops falling on a dusty surface create, you see that the damage each raindrop creates is much, much larger than the raindrop itself. Similarly, an impact crater from a meteorite will be much, much larger than the meteorite itself. The Australian study estimates that the body that left the debris they measured would have likely been about the size of a house, and that it may have broken up on its way through the atmosphere. Interestingly enough, when we flew out to the circular structure in the ice on December 26th, we also spotted a number of smaller circular and sub-circular structures in the ice as well, which is consistent with the conclusion of the Australian study. Besides further analyzing the data you've already collected from the Polar 6 aircraft, do you think there might one day be plans to do a more thorough study of the possible impact area? Perhaps using an autonomous underwater vehicle to look at the seabed in the vicinity of the hole in the ice shelf? We're not yet at the stage where we can think in any great detail about how to go about investigating this circular structure any further. Autonomous underwater vehicles have a limited range, which might limit their ability to reach the area beneath the circular structure, and limited capabilities for to search for a grounded meteorite. Another option might be to drill down into the ice in and around the crater and see what information we can find that way. What we might expect to see in that case is, if this object did break up before hitting the ice shelf, that perhaps some of the pieces were not travelling with enough energy to penetrate the ice shelf, and may have settled on or within it. We may find evidence of a dust layer in the ice surrounding the crater beneath 10 years of snow accumulation. I think that would be worth having a look at. If we were able to generate a plausible argument that this might have been the site of an impact, then we'd like to return to the site to do in-situ work rather than more remote sensing aerial surveys. We'd certainly bring in people to widen the range of expertise. But first things first. We have to finish the survey we came out here to do. This circular structure find will have to go on the back burner until then. 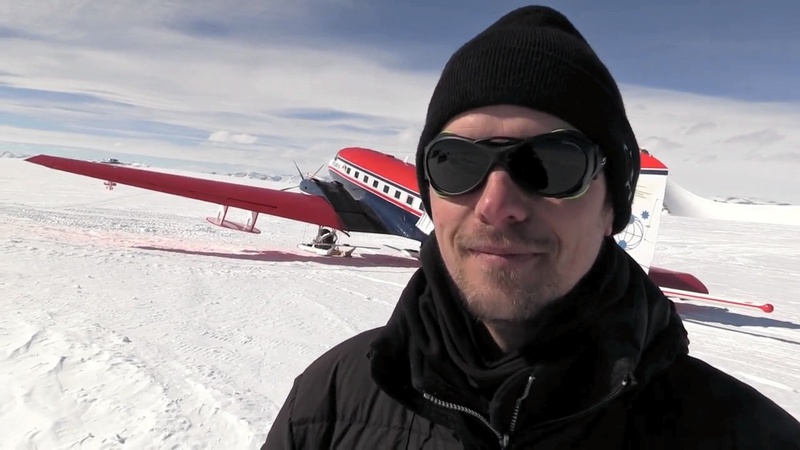 A short video interview with Graeme Eagles and Christian Müller is available on the website of the Princess Elisabeth Antarctica research station. 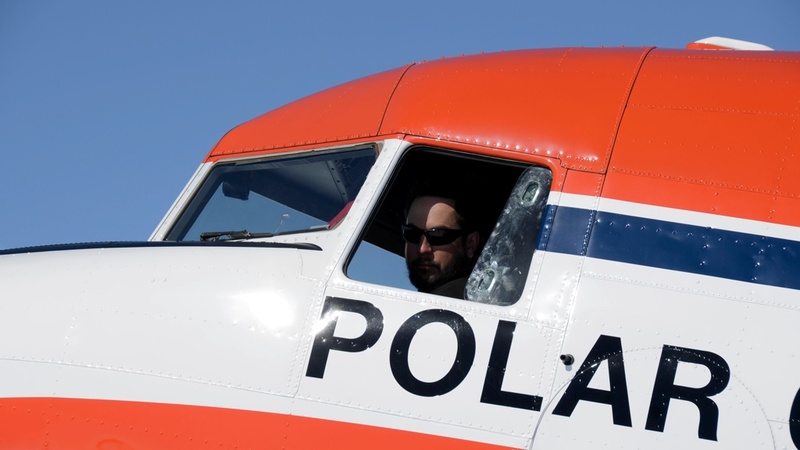 Canadian pilot Brad Blois prepares the Polar 6 for takeoff! Christian Müller and Tobais Binder checking instruments prior to takeoff. 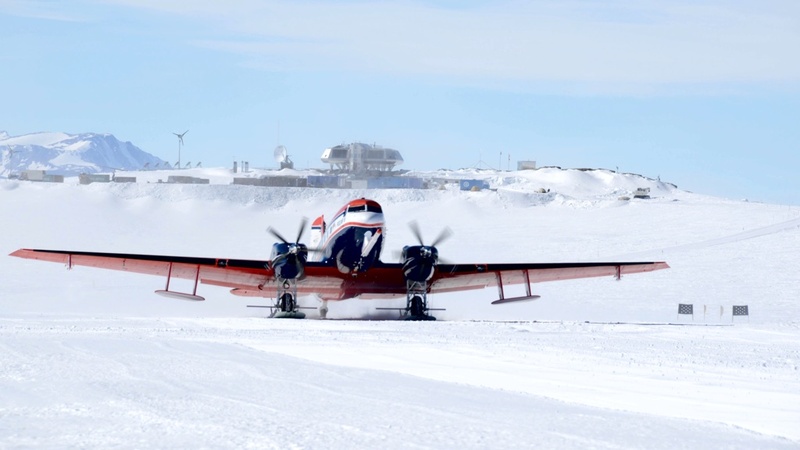 AWI's Polar 6 aircraft takes off from the runway at the Princess Elisabeth Antarctica research station. 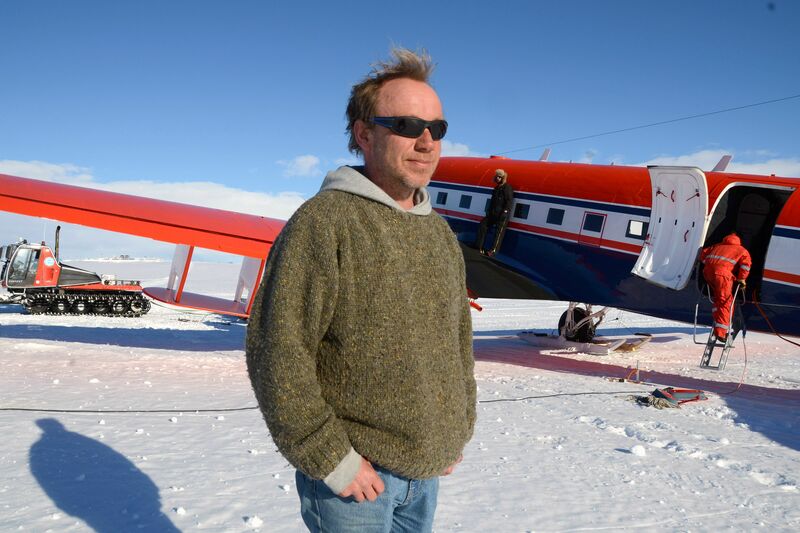 Christian Müller poses in front of AWI's Polar 6 aircraft after flying a mission.